Finnish photographer Jussi Judin, whose pen name susijussi translates into Jussi the Wolf, finds comfort in just being. It has something to do with sharing the moments I experience in the nature. I just want everybody to see for themselves how beautiful it is out there. What’s your tip for unwinding in nature? Make yourself comfortable. Bring lots of food, wear comfy clothes, and just be. There is no right or wrong way to unwind so remember to listen to yourself. Pick a spirit animal (and why)? Well, as my nickname suggests I’ll have to say wolf. I’m amazed at how well a pack of wolves work together. And, of course, wolves are gorgeous creatures! I hope to see one someday. Share a secret to capturing a great (nature) shot? The secret lies in knowing your subject. Whether it is a landscape, an animal, or a natural phenomenon you have to know how it behaves at various times. 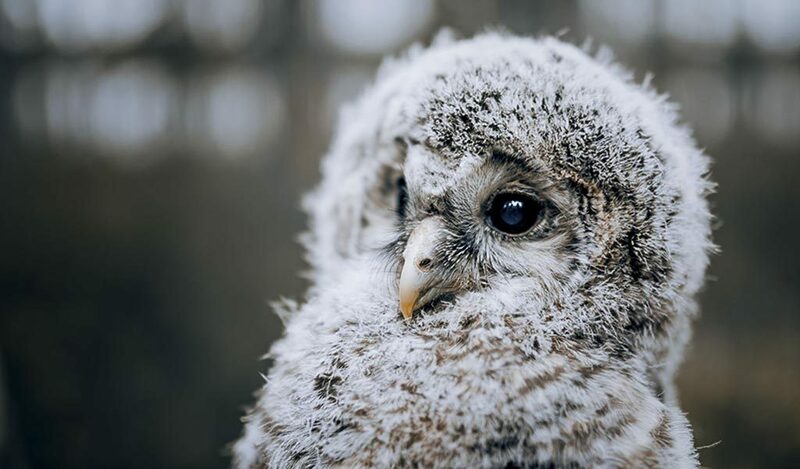 A Ural owlet’s first steps. Waiting for dinner in northern Norway. Daily routine near the Arctic Sea.